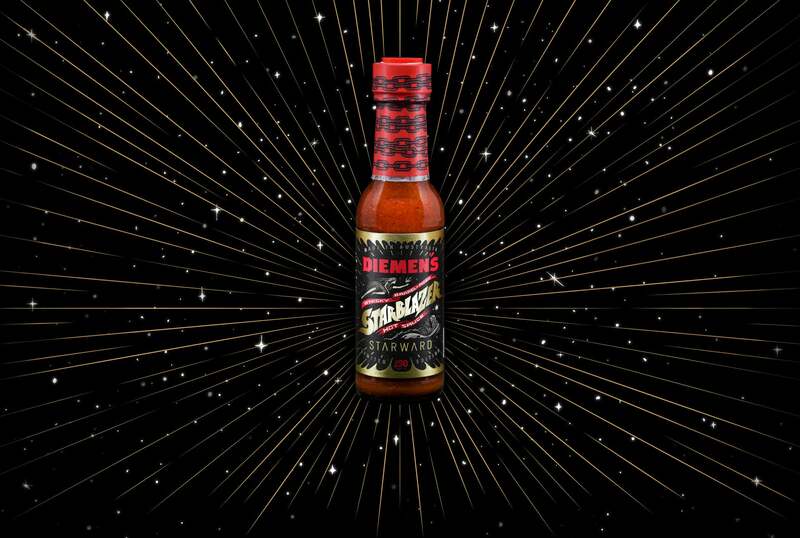 Last year we embarked on creating a new, whisky barrel-aged hot sauce in collaboration with one of the best Australian distilleries, STARWARD. Barrel-aging chillis is not common practise and for both STARWARD and us, this was a new endeavour to which we could apply a bold Australian perspective. In a very ‘new world’ approach to whisky, STARWARD uses Australian wine barrels. Direct from the winery, filled with spirit born from locally grown barley and distilled in copper pot stills. These barrels are not re-charred and no re-coopering has taken place. The elemental maturation of STARWARD’s whisky is created by the ‘four seasons in a day’ climate of Victoria. Our own Diemen Pepper, grown in Tasmania, benefits from these same challenging stress levels. We then took one of STARWARD's amazing barrels, having been previously used in their own whisky aging process and filled with our DIEMEN’s hot sauce chillis and pepper. Combining the amazing qualities of STARWARD’s whisky, their barrelling process and the unique Victorian climate to which both of our products benefit from, we’ve created a truly unique Australian hot sauce.